Some may say it’s an odd name for a group to be called: The Independent Order of Odd Fellows (I.O.O.F.). This fraternal organization traces its roots to 17th century England. At that time, it was odd to find people organized for the purpose of giving aid to those in need and of pursuing projects for the benefit of all mankind. Those who belonged to such an organization were called “Odd Fellows”. The I.O.O.F. was also known as the “Three Links Fraternity”. The triple links logo contain the letters F, L and T, which stand for Friendship, Love, and Truth. The Odd Fellows were founded in North America in 1819, and in 1838 for Illinois. The first local chapter of I.O.O.F. was organized in 1882 and was known as Nunda Lodge #701. Charter members included D.C. Mallory (at that time, the oldest Odd Fellow in the state), Henry Keller, Hiram Bryant, Fred Schnorr, Mose Richards, T. Babbert, M.J. Andruss, B.F. Peck and Geo. Piatt. Nunda Lodge #701 disbanded on March 12, 1897. During its 15-year history, the lodge met in several locations including above Piatt’s Blacksmith Shop, a second-floor room of the Nunda Herald Building (owned by the Mallory Family), and finally above Brown’s Drug Store. Wherever they met, the location was declared “Odd Fellows Hall”. The group met every Monday evening. Between 1897 and 1914, there was no active I.O.O.F. in Nunda or Crystal Lake. “Friendship, Love, and Truth,” symbols of Odd Fellowship, were exemplified Friday, June 12, when over 400 members of this order congregated in Crystal Lake, the occasion being the institution of Crystal Lodge No. 451—a new star in the firmament of fraternalism. Every train arriving at Crystal Lake brought its quota of guests, and the village assumed a metropolitan aspect. Good will and friendship abounded, and all visitors were made to feel at home. The ceremony included much pomp, circumstance, and a banquet of food, held at the Modern Woodmen’s Hall (now known as Old Towne Hall above Heisler’s Bootery). The newspaper reports that at each plate was a white satin badge, containing the following: “I.O.O.F. No. 451, June 12, 1914, Crystal Lake, Ill.” The badge is prized as a souvenir of the occasion. Officers of the newly formed Crystal Lodge #451 were: E.J. King, Noble Grand; George J. Garrison, Vice Grand; Eugene Cox, Treasurer; and J.W. Gilbert, Secretary. The Herald reports the following individuals were also initiated: C.A. Bernard, John H. Bohl, C.M. Bradley, Daniel Brandt, E.N. Brown, E.T. Bryant, G.H. Bryant, Paul Burton, E.H. Cole, G.H. Dike, H.M. Fay, G.L. Forrest, P.R. Frederick, Ed Gaeble, Earle Geer, John Green, A.S. Holmes, P.A. Huffman, W.T. Huffman, G. Johnstone, L.O. Keller, Fred Kling, Will Marshall, Claude Matthews, J.G. McWhorter, A.M. Mickelson, Geo. Naslund, Martin Naslund, Charles L. Nelson, G.A. Nelson, S. Nelson, C.H. Paine, A. Pearson, S.A. Pearson, B.F. Peck, J.A. Peterson, G.H. Prickett, A.R. Querhammer, Bert Randall, W. Rice, Lynn Richards, E.O. Rowley, Elmer Stanek, H.W. Steinbach, Drew Stewart, M.A. Stewart, W.H. VanNatta, L.W. Viall, J.W. Wingate, M.B. Wingate, Frank Wolck, and Wm. Wright. 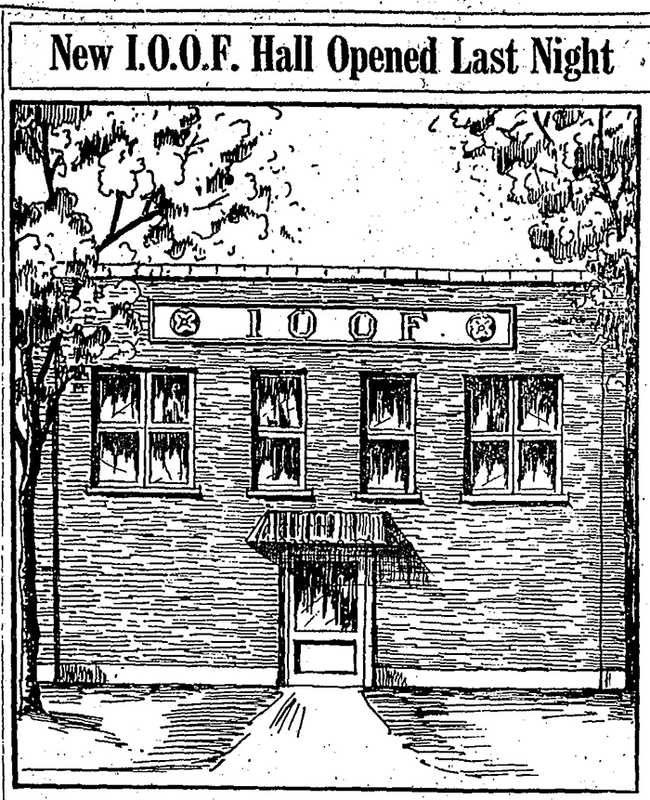 By November, 1916, the I.O.O.F. Crystal Lodge No. 451 had more than doubled its membership. Within its 120 members of community leaders, the group had an octet of male voices, an orchestra and a drill team of sixteen members, fully uniformed. With this growing membership, the decision was made to acquire their own home. 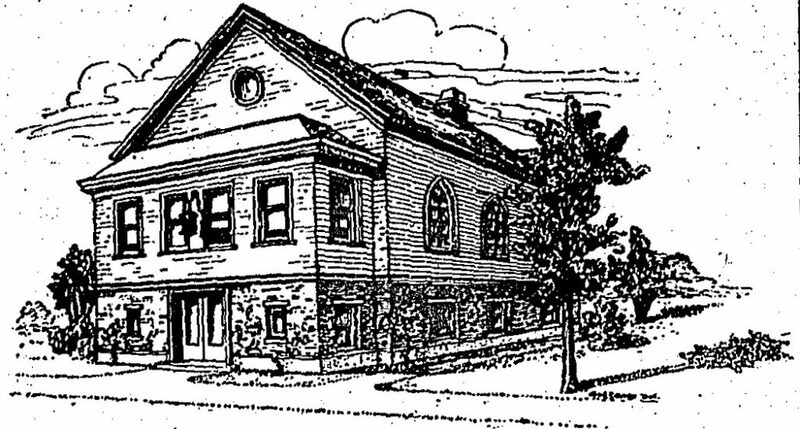 Thirteen individual members of the lodge pooled their resources, contributing $100 each to secure the purchase of the vacant Disciples Christian Church building on South Railroad Street (today known as Woodstock Street). The church sat on the lot just west of the Pingry Hotel. A stock company was later formed by the lodge, shares were sold, and the property title was transferred to the Odd Fellows’ stock company. The plan was to remodel and enlarge the existing church building by raising it up, adding a first floor/basement, and adding an addition to the front and rear of the structure. Otto Goffeny drew plans for the Lodge quarters. Construction costs were estimated to be about $3,700. Ed Swenson & Son had the contract to raise the building and move it further back on the lot. Local contractor Hilding Olson, also a member of the Lodge, was awarded a contract for the remodeling portion of the project. The building had been raised and was sitting up on blocks when Hilding Oldson was called into the armed service. The United States’ involvement in World War I had escalated, and there was a shortage of contractors. Fortunately for the Lodge, Hilding was released from service early, and he was able to come back and finish the job. Nineteen members of the I.O.O.F. Crystal Lodge No. 451 entered the Service in World War I. One of their members, Bert Randau died, and Arthur Nelson was wounded. The others safely made it home. The building was used much like a community center, providing space for a large number of organizations to meet, including the Christian Science Church, the Vikings, Ladies of the Vikings Lodge, American Legion, The Royal Neighbors, Rebekah Lodge, Woman’s Relief Corps and (of course) the Odd Fellows. About 9 o’clock Saturday night (12/17/1932) Sumner Pingry discovered smoke coming from the hall and an alarm sounded. But at the time the smoke was first noticed, flames had pretty well enveloped the rear end of the structure. The fire department worked diligently for an hour and a half before the flames were under control. The work of the department was especially noteworthy as many of the large crowd of onlookers felt that the Pingry Hotel (next door) would be destroyed as well as the Alexander Lumber Company and perhaps other buildings in the business section. But the department, handicapped by the heavy start of the flames and the unusually cold weather, saw to it that this did not happen. Lack of wind was indeed a fortunate thing. The members immediately vowed to rebuild. Within a week of the fire, a building committee was formed and included: J.A. Peterson (chairman), Charles Svejcar, R.A. Schroeder, P.A. Huffman and Andrew Pierson. The total amount of insurance collected for the loss of furnishings and building was about $4,600. A few months later, the Odd Fellows were back in business at the same location with a brand new building, at a cost of about $5,000. The front of the building was of vari-colored brick. The sides were constructed of tile and covered with stucco. The building was much larger than the old one. The main floor included reception rooms for both men and women, and a large lodge hall with stage. The lower level provided extra space for meetings, card tables, pool tables, kitchen and dining room. A fundraising event was held March 29, 1933 in the new quarters. Hundreds of people purchased tickets for the dinner, dance, and tour fundraiser. In May, 1933 a Formal Dedication was held. A grand parade led over 500 people to the Lodge Hall dedication. The I.O.O.F. Crystal Lodge No. 451 continued their good works for the next 40+ years. During the 1950s and early 1960s the group partnered up with the Crystal Lake Jaycees to host a summer festival. By 1968, the Lodge membership had dwindled to about 40, and those members were aging. With fewer members and a decrease in income from rentals, upkeep of the Lodge building was becoming too expensive. The Lodge decided to sell their building and look for a small single-story place with less maintenance costs. In May 1969, the I.O.O.F. Lodge building on Woodstock Street was sold to R. Daniel Malone. At the same time, Mr. Malone also purchased the old Pingry Hotel building next door. Operation of the Pingry Hotel continued for awhile, although it was more of a boarding house than a hotel. The Pingry Row Townhomes now stand where the old hotel and lodge once were. In 1978, the I.O.O.F. Crystal Lodge No. 451 disbanded, and remaining members consolidated into Woodstock’s Guardian Lodge #60, thus ending the I.O.O.F. era in Crystal Lake. Both the I.O.O.F. 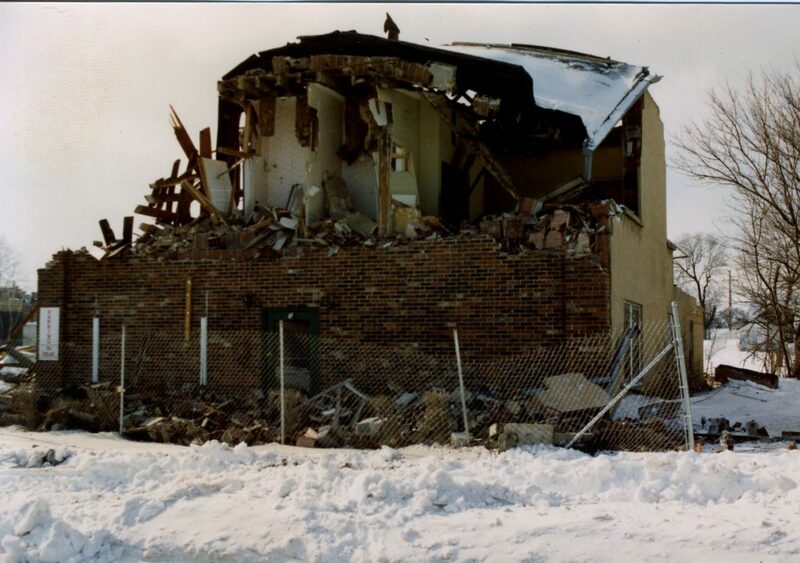 and Pingry Hotel buildings were demolished in early 1990 to make way for the Pingry Row Townhomes, which now stand where the old hotel and lodge once were.